Unveiled in August 2017, the Lenovo K8 Note is the latest iteration in the affordable K series of phones by its maker. It comes with solid specs, including dual rear cameras, a 10-core processor and powerful battery. While this is not the most beautiful phone we have seen, its metal unibody design looks impressive. This one is built to withstand rugged handling. On the front is 2.5D Corning Gorilla Glass 3 that gives the Lenovo K8 Note a curvy feel and protects again scratches. The display measures 5.5 inches diagonally and has a resolution of 1080 x 1920 pixels. With a pixel density of about 400 ppi, this one promises great wide angle viewing. Among the headline features of the Lenovo K8 Note are the cameras. You will find a 13MP + 5MP combo on the rear. The second of these two works for depth sensing to enhance image quality. Features include dual LED flash and phase detection autofocus. 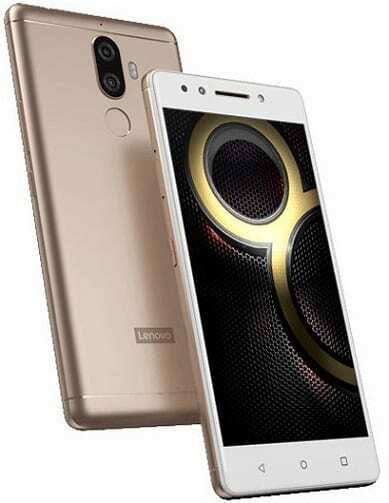 Lenovo K8 Note sports a 13MP front facing camera that will deliver high quality selfies. This gets support from an LED flash as well to deliver shots that will please. With a deca-core MediaTek Helio X23 chipset in charge of affairs, the Lenovo K8 Note promises solid performance. The 2.3GHz CPU pairs with a Mali-T880 MP4 GPU and 3 GB or 4 GB of RAM. Lenovo K8 Note is available in 32GB and 64GB storage variants. It boots Android 7.1.1 Nougat operating system, which appears to be stock variant. The juice supplier is a 4,000mAh Li-Polymer battery. This supposedly lasts more than 24 hours of talk time on a charge. Lenovo K8 Note supports Turbo Charge fast charge technology that tops up the juicer faster. There is a rear mounted fingerprint scanner. The 4G smartphone boasts Dolby Atmos technology that improves sound quality. Connectivity options available for the Lenovo K8 Note include Bluetooth 4.2, USB On-the-Go, and Wi-Fi 802.11 b/g/n/ac with Wi-Fi Direct and hotspot functionality. Lenovo K8 Note is not yet available in Nigeria, Ghana, or Kenya. When available, you can buy it at leading online stores in the countries. Lenovo K8 Note price in Nigeria is expected to range from 75,000 Naira to 115,000 Naira depending on your location in the country. Price in Kenya should start at around 13,500 KSh. Lenovo K8 Note Price in Ghana should start at around 500 GH₵.